Saint Laurent T-shirt with typographic front. 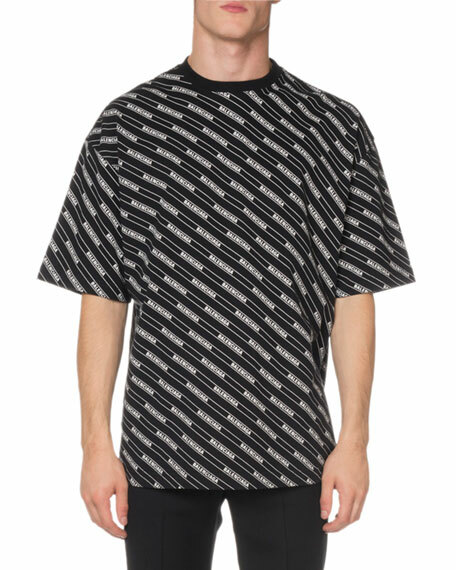 Balenciaga T-shirt with allover stripe detail. Crew neckline. Short sleeves. Pullover style. Cotton. Machine wash. Imported. 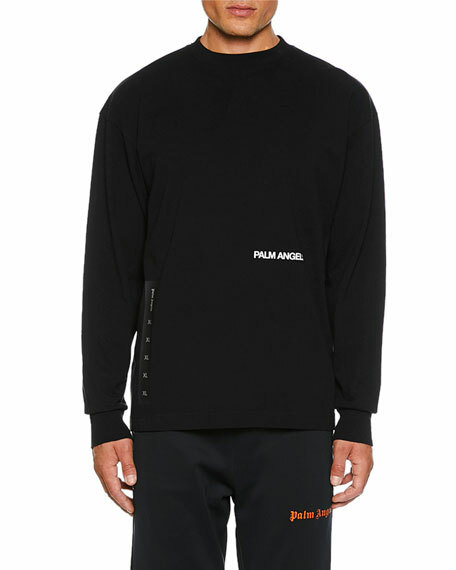 Palm Angels T-shirt with "XL" taping at side, "High Recovery" print at back. Crew neckline. Long sleeves. Relaxed fit. Straight hem. Cotton. Made in Portugal. Prps T-shirt with graphic print of North America and number 2 patch on front. Approx. 27.5"L down back. Crew neckline. Short sleeves. Straight hem. Cotton; dry clean. Imported. 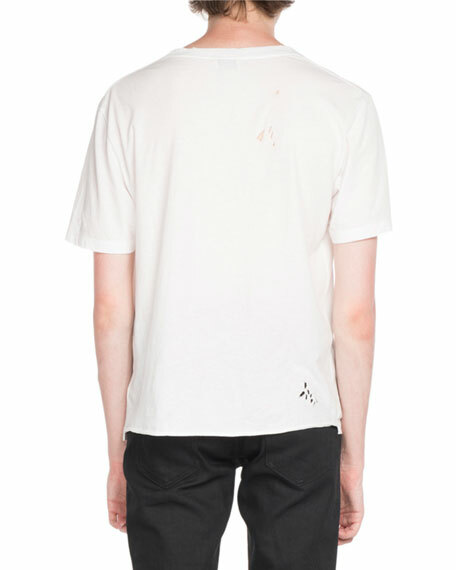 Prps T-shirt in bleached jersey with cherub graphic. Crew neckline. Long sleeves. Relaxed fit. Straight hem. Cotton. Imported.